British businessman Shrien Dewani's trial, for the murder of his wife Anni, will resume in the Western Cape High Court today. 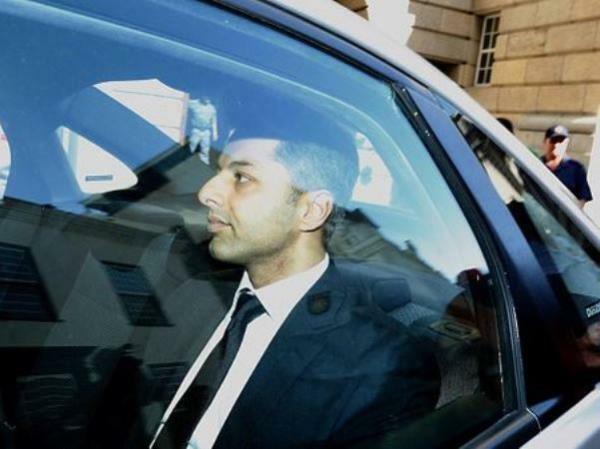 British businessman Shrien Dewani's trial, for the murder of his wife Anni, will resume in the Western Cape High Court on Monday. Dewani is accused of masterminding the murder of his wife during their honeymoon in Cape Town and offering local men R15,000 to carry out a hit, on November 13, 2010. Xolile Mngeni, serving life in jail for pulling the trigger, died on Saturday in custody at the Goodwood Correctional Centre hospital in Cape Town. Mngeni, who was diagnosed with a brain tumour in 2011, was admitted to Groote Schuur Hospital, Cape Town, in June. Co-accused Mziwamadoda Qwabe is serving a 25-year jail term, and shuttle taxi driver Zola Tongo is serving 18 years. Dewani has pleaded not guilty to the five counts against him, maintaining that the couple were the victims of a hijacking. Warrant Officer George Stefanus told the court last Tuesday, Dewani was emotional when he took a witness statement from him at the Cape Grace Hotel shortly after the hijacking. Stefanus did not formally swear him in before taking the statement. But he believed reading the oath out to Dewani and getting him to initial every page and sign at the end had been sufficient.